Rhinoニュース etc. : とある2人がバーに入ったら. . .
$16 The Squee-Kee-Kleen "Limited Edition" Kickstarter Green. 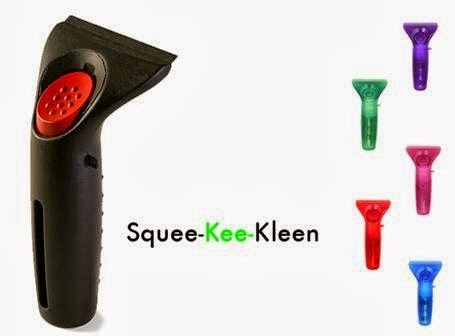 $17 The Squee-Kee-Kleen Auto version, in black. Includes refillable bottle with -30 degree windshield washer fluid. $18 The Squee-Kee-Kleen Color in one of the five translucent colors that you choose, also with the refillable bottle. $66 The Squee-Kee-Kleen Set. One each for the car, SUV, truck, motorcycle, boat, and the house. Or gifts for your friends.